What freedoms does the Sixth Amendment protect? It contains many protections to those charged with crimes. Sometimes people colloquially refer to the Sixth Amendment as the one that provides fair-trial rights to criminal defendants. It protects the rights to a speedy trial, a public trial, an impartial jury, information and notice of criminal charges, right to confront witnesses, right to have court compel witnesses to come to trial to testify and the right to the assistance of counsel. 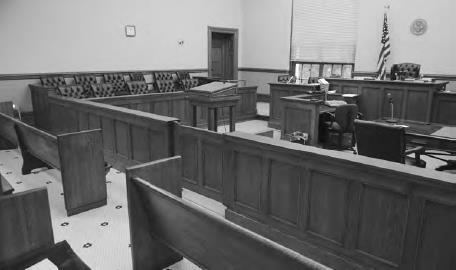 Most people have no desire to see the inside of a courtroom, but if circumstances require it U.S. citizens all have right to a speedy trial with an impartial jury (iStock).